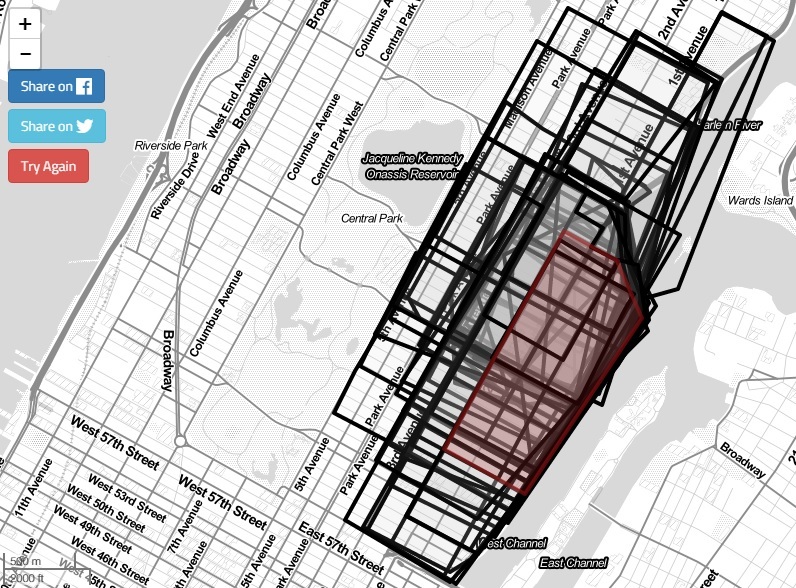 To begin, simply select your neighborhood and how long you’ve lived there. We chose Yorkville, where one of us has lived for 3 years. 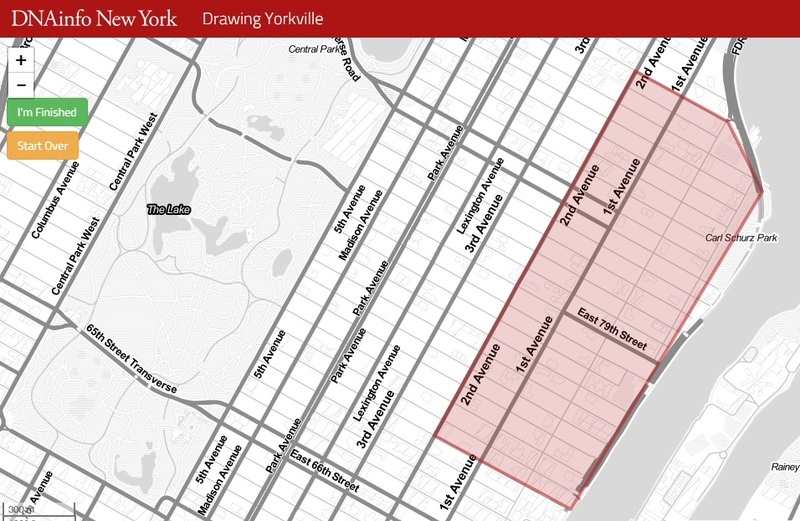 After drawing our borders–92nd Street to the north (where York Avenue terminates), 70th Street to the south, the East River to the east, and Second Avenue to the west–we selected “I’m finished” and got a map overlay of all the other users’ borders compared with ours. And as you can see above, the results are quite spread out.